Drink insider invites you behind the bar to get to know some of Little Rock’s biggest names in brewing, distilling, and bartending. We ask all the awkward questions you were always afraid to ask your favorite drink maker. This time up, we chat with Rob Armstrong of The Fold: Botanas & Bar. I went to Delta State University in Cleveland, MS, home of the “Fighting Okra.” In college I studied the social sciences and learned a lot about the civil rights movement. Much like Arkansas, the Mississippi Delta has a rich culture and has had a huge hand in the civil rights movement. I’ve always been interested in other cultures. Although I’ve always found the history of civil rights interesting, my true passion is in spirits. How long have you been in Little Rock, and how did you end up at The Fold? I’ve been in Little Rock nearly 5 years now. I worked for Mark Abernathy at Red Door when I first moved here. He is the one that really sparked my interest in wine. His knowledge in fine dining is astonishing. While involved at Red Door and Loca Luna, he taught me a ton. I currently work for Bart Barlogie and Chef Alex Smith at The Fold. I’ve been here for a little over a year. I love the atmosphere this place has. It almost has a life of its own. Every night feels like a feista! What are your favorite drinks to make? My absolute favorite drink to make is a classic margarita. It has everything a cocktail should. It’s slightly sweet, a little salty, full of bright citrus notes and, most importantly, boozy. Plus it looks really cool too! 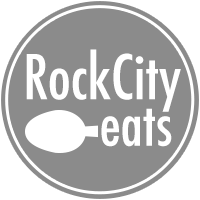 What are your thoughts on the local food scene here in Little Rock? Do you see growth? Change? I do see a lot of growth in Little Rock. Not only west of town, but also in the Riverdale and Hillcrest areas. I love the local food scene! There are so many new cool restaurants to visit. I feel there is a sense of friendly competition around town. I love to meet other bartenders in the neighborhood. We usually pluck each other’s brains and build on each other’s ideas. 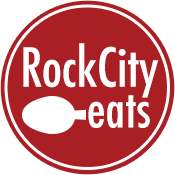 What do you like to do in Little Rock when you’re not serving up delicious drinks? Honestly? Go to other restaurants. 610 and Center is one of my favorite spots. The food is yummy and the bar-staff is top-notch. They, without a doubt, have some of the friendliest bartenders in town. I’m a dog lover, so often times I’ll take my dog, “Ripley Good Girl” to Red Door’s Brunch. They have the best Bacon-Jalapeno Bloody Mary’s in town. My goal for the next year is to get my foot in the door with wines. I’d like to become a Sommelier. In terms of a long term goal, I’d like to stick with this company a while. The owners have so much passion and I can completely vibe with that. When you see restaurant owners like Bart Barlogie and Alex Smith busting their backs day in and day out … it’s inspiring. That’s something I can get behind. Mauren Sparrow Kennedy is an avid mobile and freelance photographer native to Little Rock, Arkansas. Her photography covers a wide variety of subjects, and she relishes any chance to marry her interests of photography and writing in order to tell an intriguing story. When it comes to cuisine, Mauren believes in the words of J.R.R. Tolkien: "If more of us valued food and cheer and song above hoarded gold, it would be a merrier world." Find her on instagram.